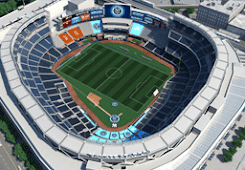 NYC is Blue: New USA Crest? Footy Headlines is reporting that U.S. Soccer has designed a new crest, to be unveiled for next year. 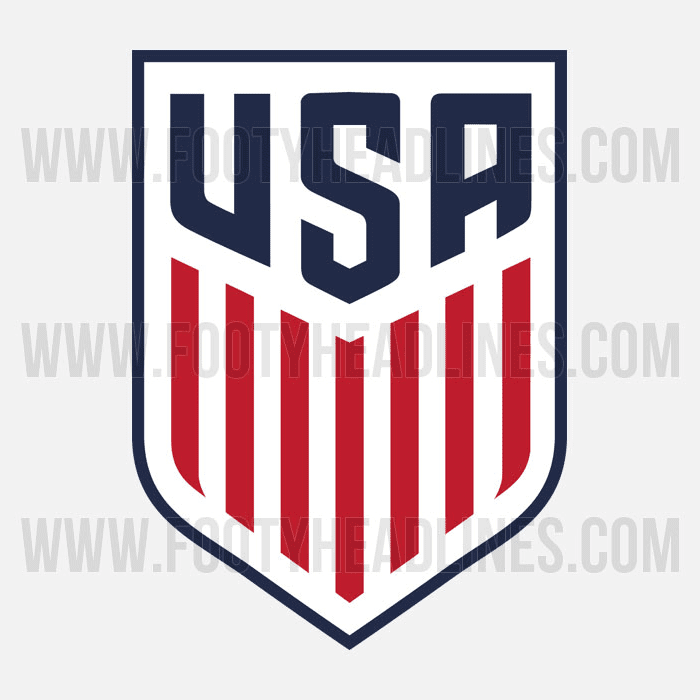 Many people had taken issue with having stars on the old crest, but that didn't bother me, although all that be beveling on the stars did. 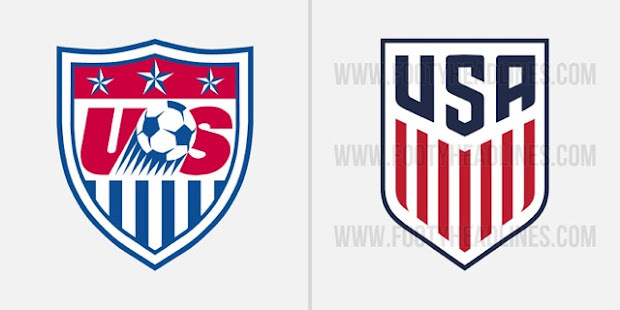 That pales next to the bizarre decision to recolor the American flag. 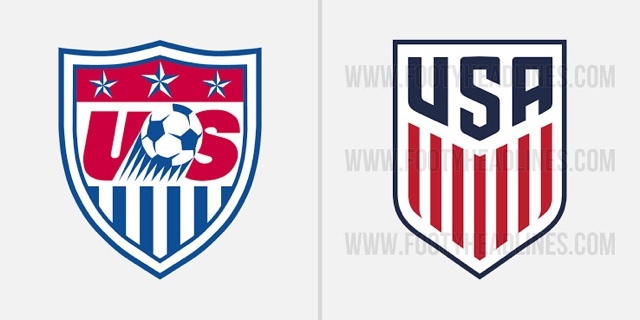 Add in the very 90s motion ball and you have a crest very much of its time, which was unfortunately a low point in sports design. The new one would benefit from a slightly thicker outline, but is still a significant upgrade. Footy Headlines has a good track record, so we can presume for the moment that this is authentic. At least, I hope so.